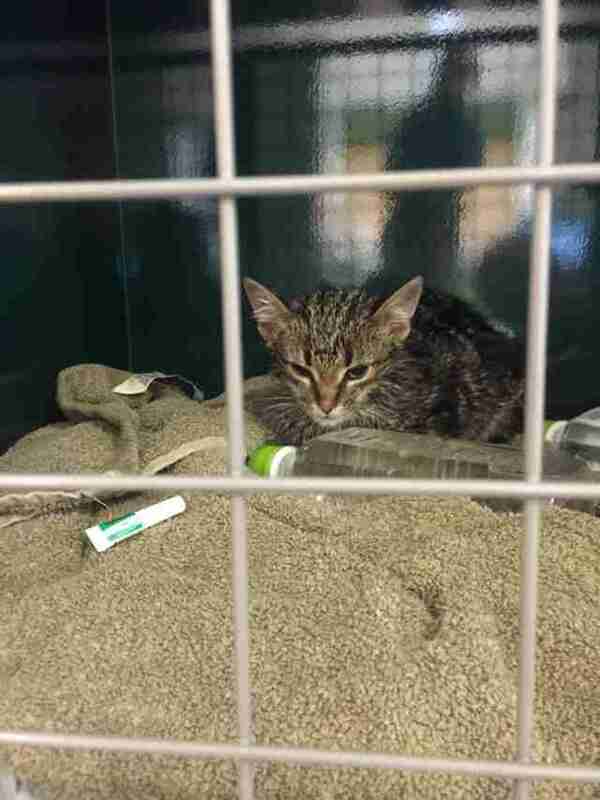 This kitten needed a hero - and thankfully he found three of them in the nick of time. 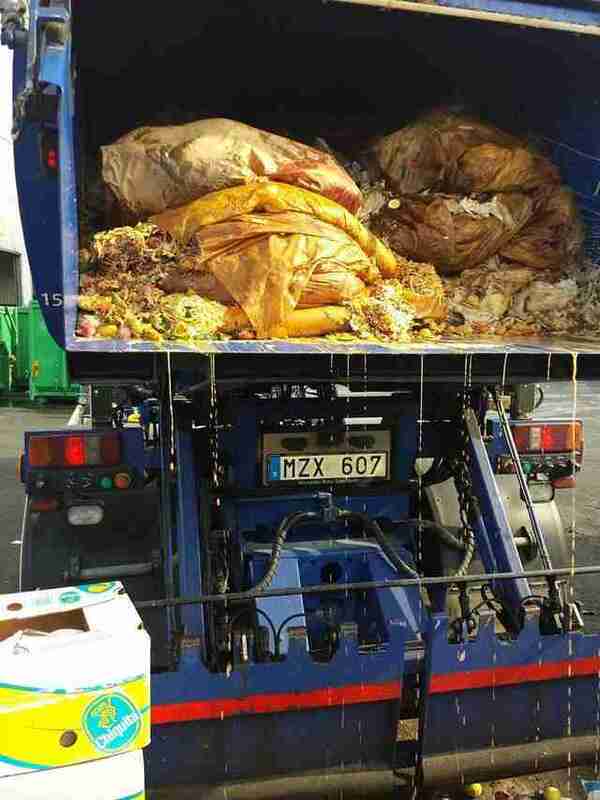 Two garbagemen in Stockholm, Sweden, were getting ready to haul food waste to an incinerator when they heard the sound of a distressed cat emanating from their truck's holding compartment. 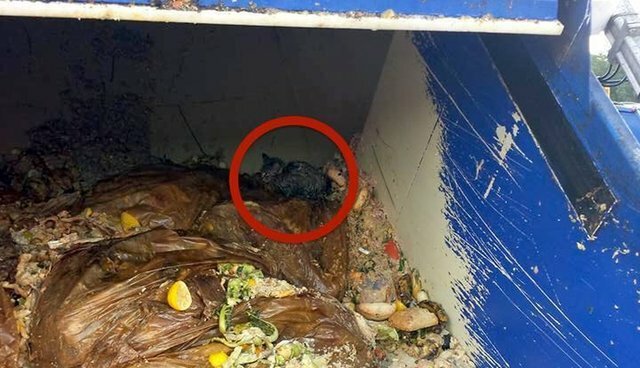 Since the trash inside was piled up so high, they couldn't see where the animal was hiding - but they refused to ignore his cries for help. The pair called their colleague, Bekir Mercil, who offered his assistance in delivering the kitty to safety. Considering what they'd have to sift through to find him, that was no small gesture. Seriously, it was pretty gross. It's unclear how the cat came to be trapped inside the truck, but Mercil told the TheLocal.se that one thing was certain - they weren't going to rest until he was rescued, no matter how unpleasant a task that would be. 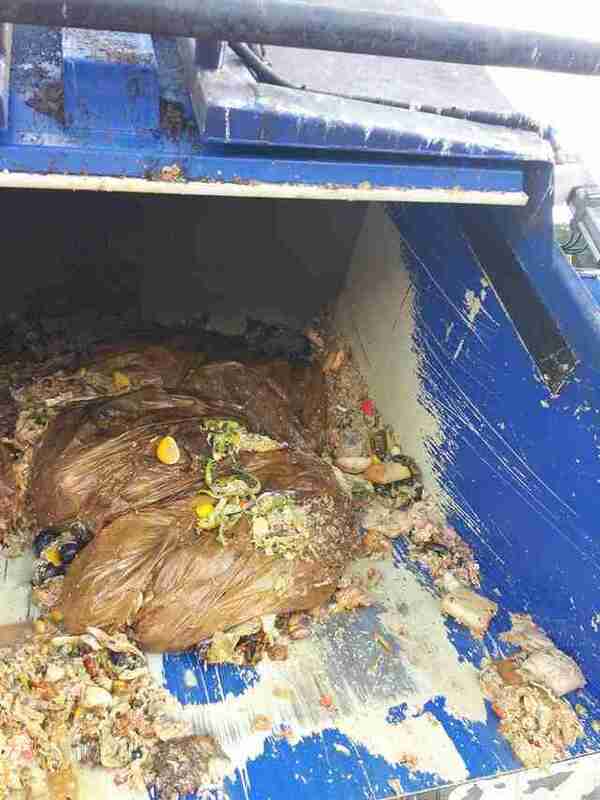 So Mercil met the two others at a dump where they carefully sifted through an estimated five tons of rotting food to find the cat. "Otherwise it would have headed for the incinerator, and you can just imagine what would have happened," Mercil said. "We had a shovel to remove the waste as carefully as we could without doing any harm, and a broom to try to get the kitten out." Sure enough, their odoriferous efforts paid off. 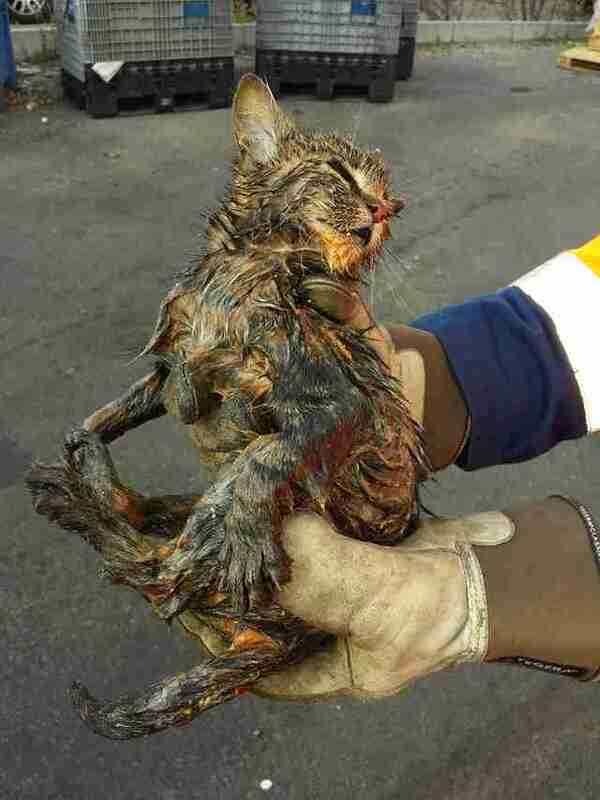 After about a half hour of scouring through the waste, they found the frightened kitty - who, despite being in need of a bath, was otherwise uninjured. They then put the cat in a box and drove him to a nearby animal shelter, the Metro reports. Mercil said if he didn't already have two dogs, he would have taken the kitty as a pet himself, but thankfully, the cat's wait for a home wasn't long. A staff member at the shelter has since decided to adopt him - meaning the cat's misadventure in all that trash ultimately led him to be someone's treasured pet.